Video installation by Bill Viola in Edinburgh, Scotland, UK. 22 May, 2018. Edinburgh, Scotland, UK. Video installation "Three Women" by Bill Viola at St. Cuthbert's Parish Church in Edinburgh. 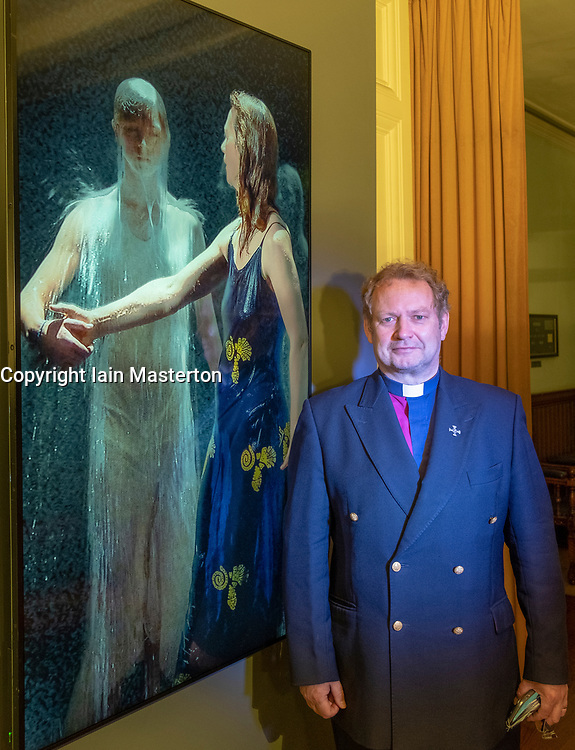 The Minister of St. Cuthbert's, the Rev Peter Sutton, admires the work of Bill Viola which is on loan to the church until September. Although on display since 1 May, the display has not been publicised until this week.